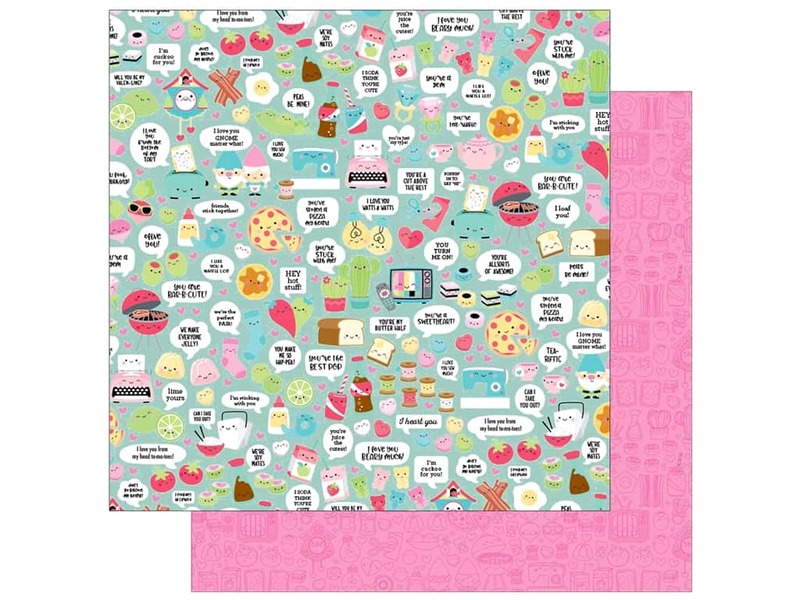 Description: Doodlebug Collection So Punny Paper 12 in. x 12 in. - Double sided cardstock, one side is mint green with different couples: typewriter and paper with caption You're Just My Type, two sodas with caption You're The best Pop, a TV and a remote with caption You Turn Me On, and more. The reverse side is two-tone pink with outlines of couples without captions.